This is not so much a book about colour as about how to use colour. 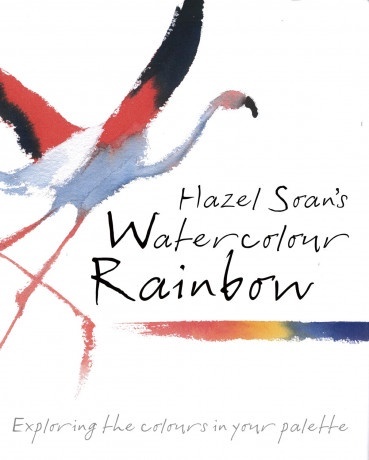 As practical as you would expect from Hazel Soan, it's a look at how colour can create mood, atmosphere, shape and recession. Hazel doesn't neglect the basics and explains the fundamental rules, the properties of pigments and the difference between transparency and opacity. All this is done in terms that have meaning for the artist rather than the scientist. All the illustrations are paintings - you'll look in vain for a chart or a diagram. After this short but thorough introduction, the bulk of the book looks at the main colour types you'll find on your palette - yellows, reds, blues, greens and browns as well as blacks, greys and whites. Here again, Hazel shows you how different hues and tints look on paper and how they work in practice. She demonstrates how blues work in shadows, which greens create a backlit effect and how to emphasise a colour by putting it against a contrasting one. Colour is the artist's main tool and this is an explanation of its properties that talks your language.